No motorcycle rally again this year. Will there ever be another? Only time will tell. 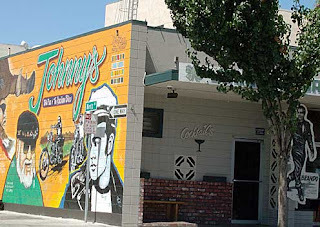 Regardless, Johnny's Bar and Grill is honoring the 63-year old biker legend and keeping the spirit alive with four days of food, song, and fun. 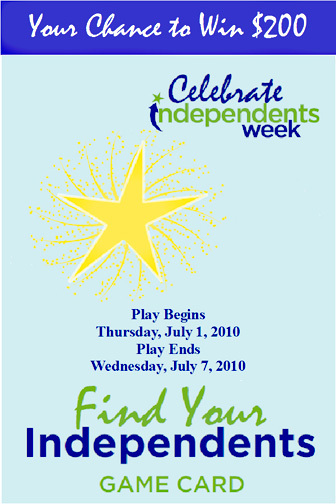 The party starts on Thursday evening, July 1 and goes through Sunday July 4. Click here for the details. The Kiddie Parade starts at 10 a.m. at the Veterans Memorial Park parking lot on the corner of Memorial and Hillcrest. Everyone is welcome to join in and mosey on down Memorial Drive to Marguerite Maze Middle School. Fourth of July Fireworks Show at Marguerite Maze Middle School. The KABOWs! and Oooohs! begin at dusk. To read more about the two events, check out "Chances for a Blast over Fourth Weekend" in the online version of the Hollister Free Lance. Have a joyous and peaceful Fourth of July, Everyone! Cherries! Yum, double exclamation points. No make it three of 'em. Yum!!! Yesterday, the husband and I bought our first cherries from the Ivancovich Family Orchards on Buena Vista Road. Two kinds, the regular dark red ones and the light colored ones. They were plump and full of taste. Yum!!! We are late this year buying our first cherries from the cute wooden fruit stand on Buena Vista Road. So, that means we need to buy a box of cherries sooner than later, if I want to make a cherry pie or two and dehydrate some for later eating. An 18 pound box is $46. To buy them otherwise is $3 a pound. Steep, according to the elderly man who was seeking apricots. Said he, "I bought cherries for $1.99 at the supermarket." "These are really tasty. Worth the price," we said. "My $1.99 cherries are tasty," said he. I doubted it. Fresh-picked cherries bought directly from the farmer generally taste better than cherries that have been sitting at the market for a few days. Any day. John, the teenager tending the stand, said that they'll be there through the Fourth of July. Theirs is a late crop. He's not sure about how far into July that they'll be selling though. So head on out to Buena Vista Road if you're seeking fresh cherries. 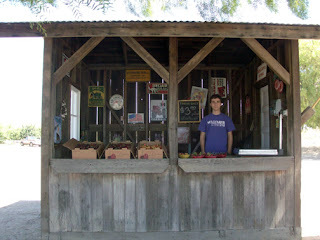 The fruit stand sits under the shade of a tall tree on the north side of the road. You should see it just before you drive into that curve as you head east into Hollister. Or, if you're coming the other way, as you come out of the curve. That probably doesn't mean a thing unless you know Buena Vista Road. So, enter 2420 Buena Vista Road into a Google search engine to pull up the Google map on the address. The Hollister Downtown Association (HDA) is hosting a scavenger hunt during the first seven days of July. Yippeee! I love a scavenger hunt, don't you? 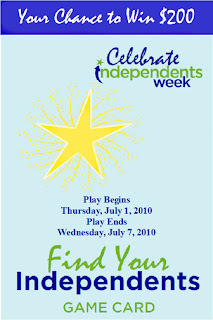 July 1 through July 7 is National Independents Week, which is sponsored by the American Independent Business Alliance. It is an annual event to honor and promote local independent businesses nationwide. 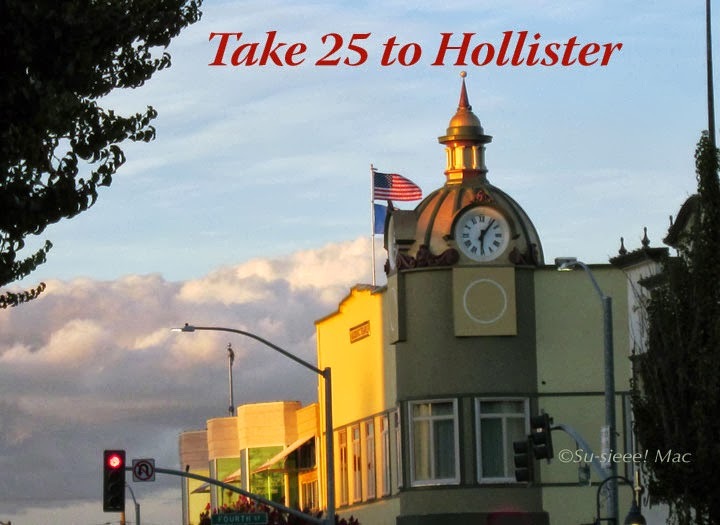 This year, the HDA is participating and, as part of its celebration of Hollister's own small businesses, it is holding a scavenger hunt. Whoo-hoo! Grand prize is $200! Hot dog! How does the scavenger hunt work? You must be at 18 years or older to play the game. Get your game card. You can download it here from the HDA Web site. During July 1 through 7, find 20 diverse items, such as angel pins, lemon cake, solar panels, WD-40, and organic chicken, at the participating businesses. You don't have to buy anything (if you can resist), but you do need to have someone at a business's register to endorse your game card. When you've found all items, submit it to the HDA off by 5 p.m. on July 9th. You'll find the address details on your game card. Not interested in playing? Okay, more chances for me of winning the grand prize, thank you very much. 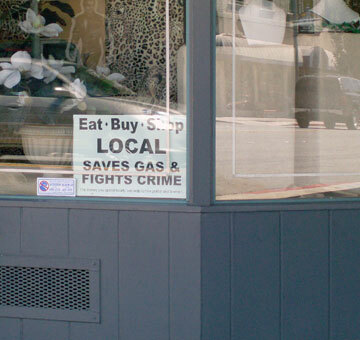 But, I hope you do go out and support our local businesses, particularly during National Independents Week. 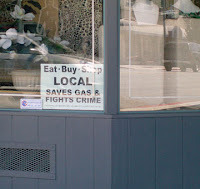 Check out this HDA web page for tips about shopping locally. FYI: These are the participating businesses in the Scavenger Hunt. Officially, the long-time county rodeo is called the San Benito County Saddle Horse Show and Rodeo. And, it is happening this weekend, from Friday, June 25, to Sunday, June 27, at the San Benito County Fairgrounds, locally known as Bolado Park, just south of Tres Pinos on Highway 25. Roping, bull riding, barrel racing, trick riding, wild-cow milking, horsemanship, BBQ, and much more will be going on. 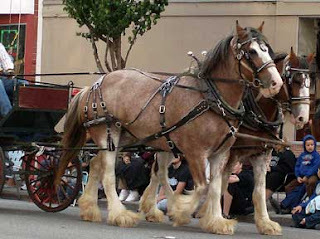 The Saddle Horse Show and Rodeo Parade will kick off the 77th annual event on Thursday evening in downtown Hollister. The parade starts around 6 p.m and runs along San Benito Street to Fifth Street. Afterwards is a fiesta at the Veterans Memorial Building with music, food, and other fun things. See the green? That's where the movies will be shown. The Thursday night movies on the green in downton Hollister are coming soon. Really, they are! Every Thursday night in July, you can come down to the grassy area on San Benito and Fourth Streets, in front of the parking garage, to watch a popular movie on a gigantic screen. Movies will start half an hour after dusk. 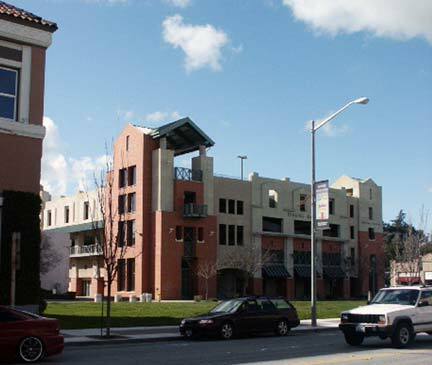 The Hollister Downtown Association (HDA) is organizing the outdoor movie series. Thank you, HDA! For more details, click here. The HDA is asking for your input about which movies to show. I'll list them in a bit. You can vote online for your favorites, by clicking here. Or, you can get yourself a copy of The Weekend Pinnacle and cut out the ballot on page C7. Either way, HDA wants your say by June 24. Okay, here are the movies they have to offer. Which ones do you want to see? If you click on the links, you head over to Amazon.com for synopsises and reviews. Remember to Vote on June 8!!!! It's the California primary election tomorrow. Is it happening in your state? I don't care how you vote or for whom you vote. That's your business. Just vote. I believe that if you don't vote, you have no right to complain about how our government is run. When I say thereabouts, I mean all points in San Benito County. And, there's quite a lot going on this June. This list is just only some of them. Please let me know about any others. 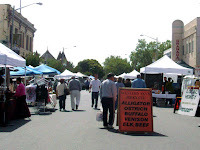 Wednesday afternoons: Farmers Market, from 3 to 7 p.m., on 5th Street, between San Benito and Monterey Streets. Thursday evenings: Movies Under the Stars, sponsored by the Hollister Downtown Association. Corner of 4th and San Benito Streets. Yep, on the big lawn. Movie starts around dusk. Friday evenings: Bingo, sponsored by Sacred Heart Church. 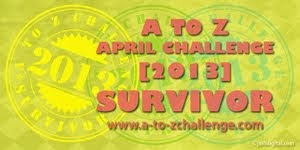 It starts 6:30 p.m. at the O'Reilly Hall (670 College Street). You must be 18 years old to play. Saturday mornings: Bike Ride with Off the Chain Bikes. Saturday mornings: Book Sale, sponsored by the Friends of the Library, from 9 a.m. to 12 p.m., behind the San Benito County Free Library, 5th and West Streets. $2 per bag. Wow! June 3 to June 30: Three Artists, Three Visions, Blak Sage Gallery, in Hollister. Artists reception on June 5, from 4 to 7 p.m.
June 5, 12, and 19: Fremont Peak Observatory Evening Public Program, Fremont Peak State Park. June 18 to August 1: Corridos, El Teatro Campesino, San Juan Bautista. June 5: Living History Days, San Juan Bautista State Historic Park. June 5: Miss San Benito Rodeo Contest, 9 a.m. at the San Benito County Fairgrounds. Admission is free. June 8: VOTE! VOTE! VOTE! June 11: Pedro Card Party, sponsored by the Native Daughters of the Golden West, from 6:30 to 8:30 p.m. at 203 Fourth Street in San Juan Bautista. Beginners are welcome. June 12: Wag n' Walk, sponsored by Pet Friends, in Hollister. June 12: San Juan Bautista Gallery Walk. June 13: Model T Endurance Run and Lowland Tour, part of Tiffany Motor Company's 100th Celebration, Hollister. June 19: Ninth Annual Family Kite Day, Pacheco State Park. 12 noon to 4 p.m.
June 19: Fremont Peak Observatory Solar Program, Fremont Peak State Park. June 19 to 20: Living History Special Event, San Juan Bautista State Historic Park. 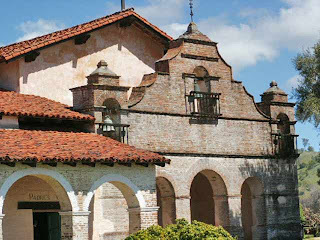 June 19: Monthly Antique and Collectables Fair, San Juan Bautista. June 19: Memorial Roping, San Benito County Rodeo, starts 9 a.m. at the San Benito County Fairgrounds. This event is dedicated to Richie Fehlman, Kenny Vierra, and Tommy Carreiro. Admission is free. June 19: Kelly McDonald Concert, Guerra Cellars Summer Concerts, Hollister. June 20: San Juan Bautista Annual Fiesta. 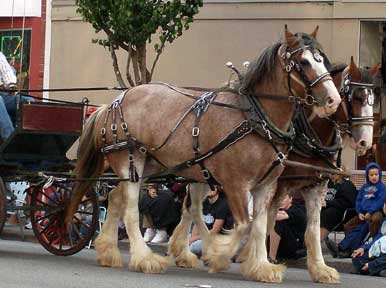 June 24: 77th Annual Saddle Horse Show and Rodeo Parade, sponsored by the San Benito County Saddle Horse Association. It starts 6:15 p.m. Downtown Hollister. June 25 to June 27: 77th Saddle Horse Show and Rodeo, San Benito County Fairgrounds.